I especially love creamy pasta. Okay. Well that is out of the way! 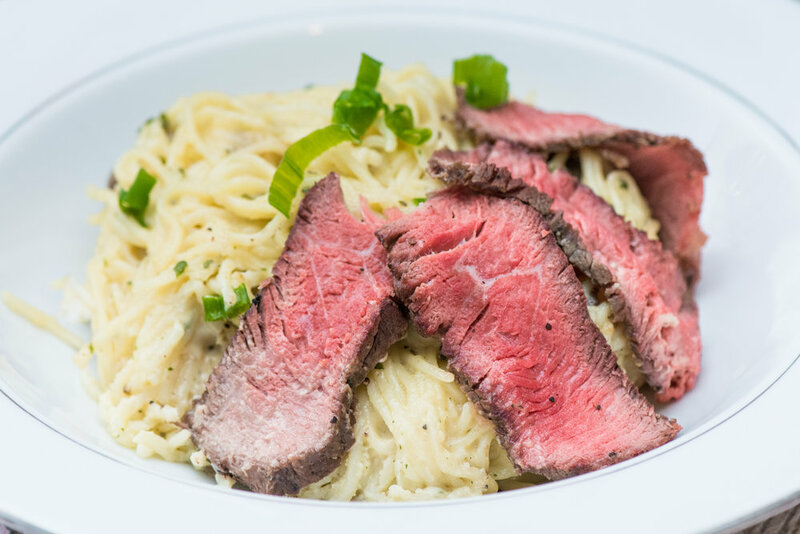 I love for my husband to grill steak, and always try to put an extra one or so on the grill so we can make dishes like this or my steak egg rolls the next day. 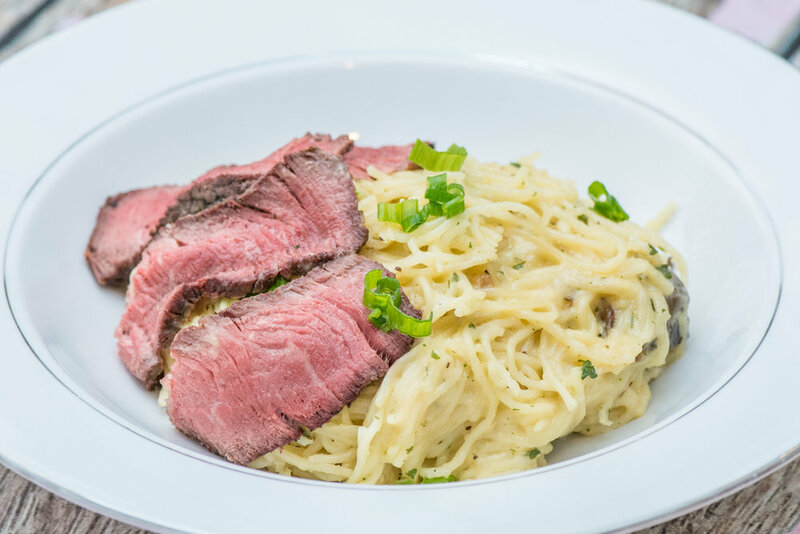 You slice the steak thin, and only really need to put a few pieces as this pasta is very filling. Melt 4 tbsp butter in a large sauté pan. Add mushrooms to pan and cook down. Add flour and stir around. Let it cook down and thicken. Add noodles to the pan. Plate and add warm steak and green onions on top.